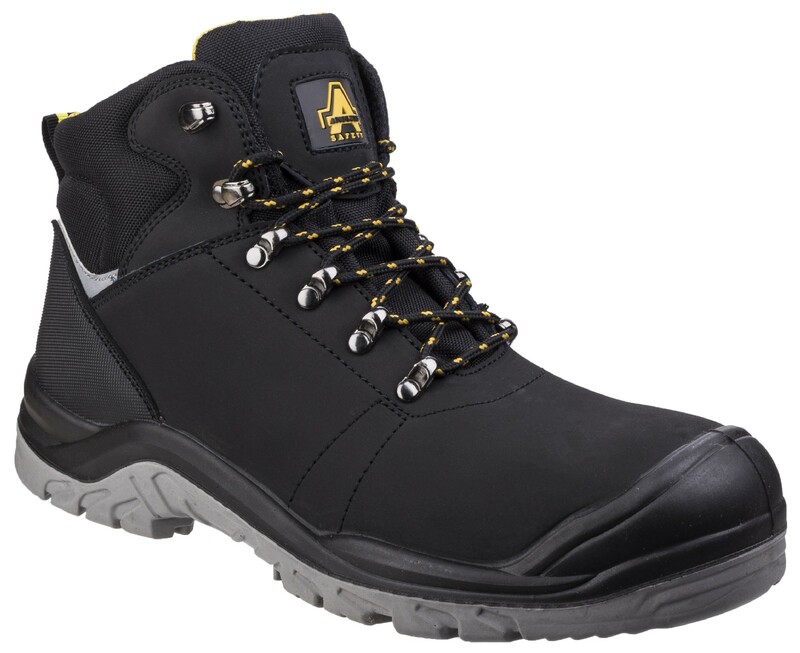 Functional rugged work boot made premium materials, offering safety, foot support and comfort. 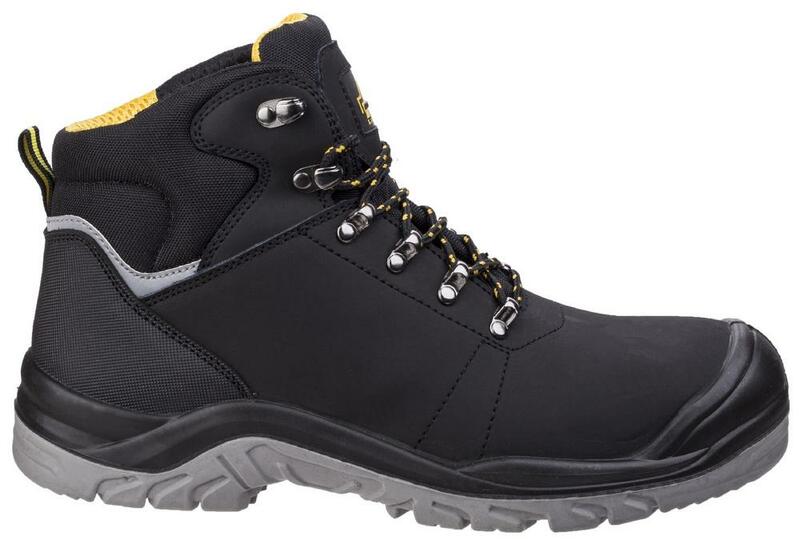 Water resistant nubuck leather upper with Nylon mesh overlays. 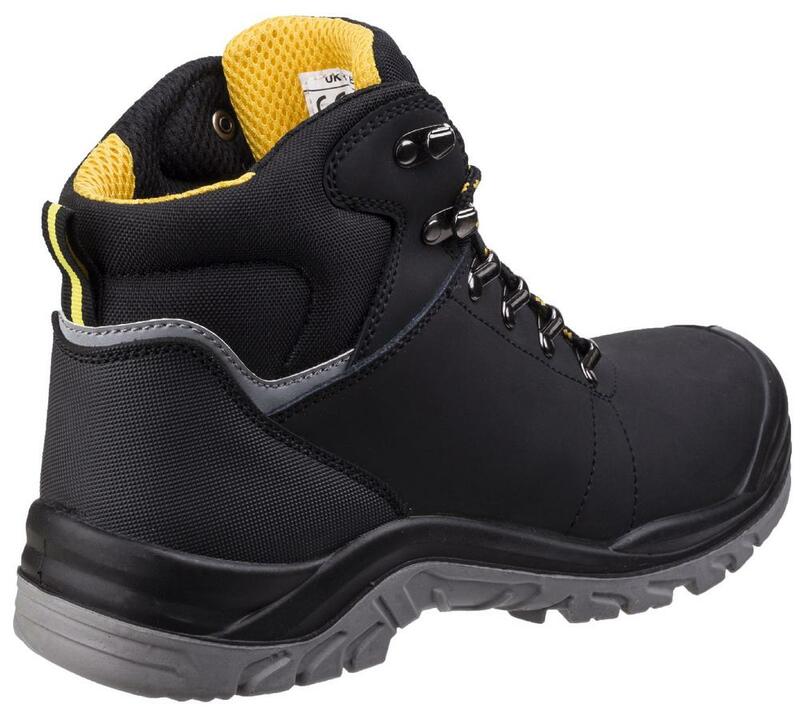 Deep filled ergonomically padded PU collar offers comfort around the ankle and Achilles tendon, Moisture wicking mesh lining. Reflective back panel and rear pull loop. 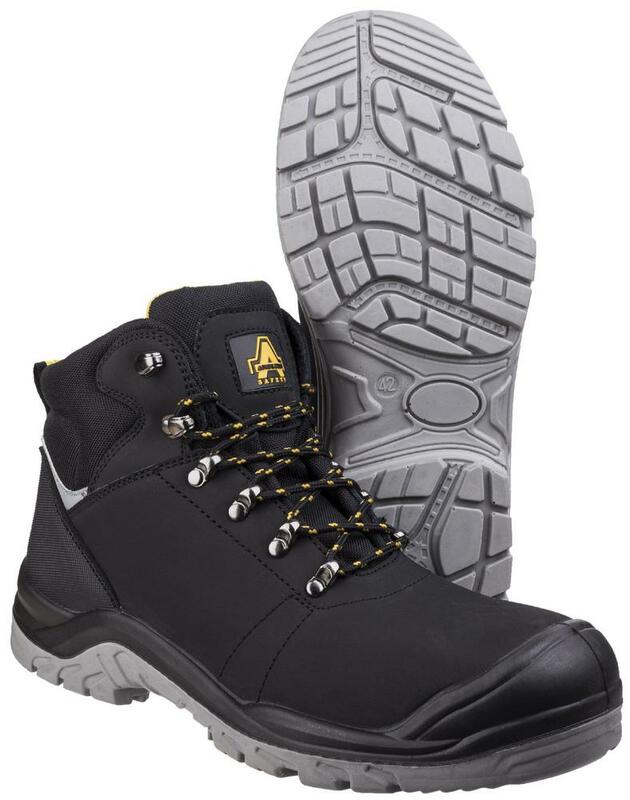 Amblers AS252 Delamere Safety Hiker Boots conforms to: EN ISO 20345:2011 S3 SRC.